Welcome to “Writing the Book.” This is where I attempt to book entire wrestling pay-per-views in an interesting yet logical matter. 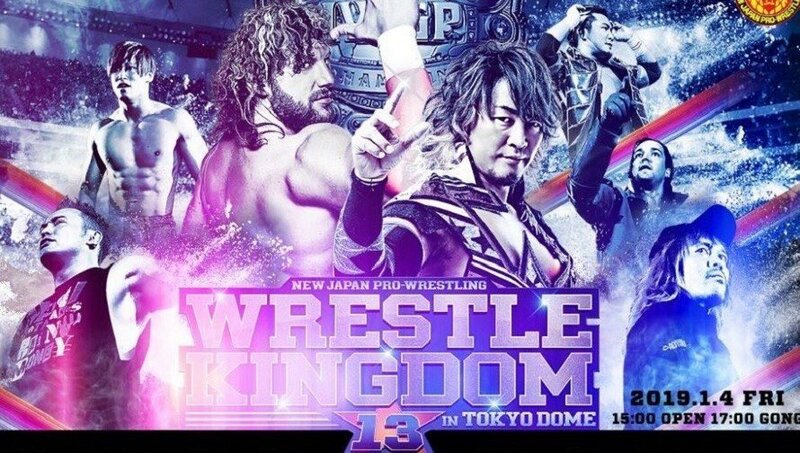 This week we have NJPW Wrestle Kingdom 13! Wrestle Kingdom might just be my favorite event of the year. The guaranteed match quality, production, and storytelling are just what the average wrestling fan desires. Feuds culminate on the grand stage of the Tokyo Dome and new rivalries are born the very next day at New Year’s Dash. The very recent announcement of All Elite Wrestling essentially decided several matches for me. The entirety of The Elite is competing on Friday. That would mean January 4th and 5th could be the last time we see Cody, The Young Bucks, Hangman Page, and Marty Scurll compete in a New Japan Pro Wrestling ring for quite some time. Winners: Suzuki, Archer, & Smith Jr. The Suzuki-gun trio are the most seasoned guys in this crop. 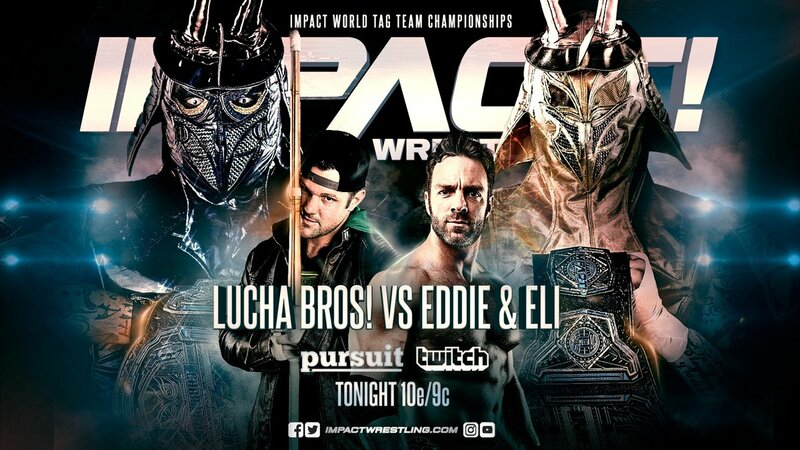 The Most Violent Players just reunited, Beretta and Chuckie are having problems, and Page and Scurll are likely on the way out. This one feels like a no-brainer. They’re the most complete team in terms of size, strength, chemistry, and credibility. Also, a Suzuki-gun trio has never held the Openweight tag belts which is pretty ridiculous. Let’s fix that. I want him to hold the belt for a little while. This is Ibushi’s first ever singles championship in New Japan Pro Wrestling which is even harder to believe than the stat I mentioned in the previous match. Ospreay’s injury is still fairly recent so I’d like him to rest a little after WK then go back to rattling off a few more great feuds in the Junior division during the Spring. After the insanity that is sure to ensue here, he will have reserved himself a spot in the Openweight scene from here on out. I struggled with this one for a little bit. I could make a case for awarding each team with a big win. The tiebreaker was the fact that I’m not booking CHAOS to have a particularly special night (oops, spoilers) so I needed to give this one to them. It helps that R3K are one of most talented teams in the world. Remember how I said CHAOS isn’t going to have a good night? That starts here. Well, it actually started back on the pre-show. Ishii has held the belt twice since ZSJ last held it so now feels like the right time to get it back. Plus, I have other plans for Ishii to start the new year. For the finish of the match, I want Zack to win by referee stoppage rather than submission. It’ll keep Ishii looking strong and Zack like a true sadist. Stable-leader, Minoru Suzuki won the Intercontinental Championship from Tanahashi a year ago the same way. That’ll be my dash of storytelling sprinkled onto the match. I’m trying to make Bullet Club look strong throughout this event. They were the sole focus of multiple storylines in 2018 and I have even more ideas for them going forward. This will likely be The Bucks’ last NJPW appearance for awhile. I’d have them swoop in when victory seems near for LIJ. That will give Evil and Sanada a gripe to get their proper tag title opportunity in the near future. If Cody is going to run All Elite Wrestling, he can’t be holding a belt for one of the other top promotions in the world. My run of Bullet Club wins continues. Taiji Ishimori is a young talent with massive potential that debuted in the earlier part of last year. After Yujiro, Scurll, and Chase Owens split off into The Elite he became the sole junior of the Bullet Club. He already has a classic with Hiromu Takahashi in his first year so let’s see what he can do with a singles title run. Ishimori holding it until Hiromu’s return would be ideal. For weeks I had Okada booked as the clear winner. But something about it just didn’t sit right with me. Jay has been booked as this young new leader of the Bullet Club. His potential climbs every time he’s on screen. Since Jay has consistently gotten the better of Okada, I felt more justified in giving Okada the win. But now, I just can’t do it. Giving Okada the win would halt all the momentum NJPW has been trying to build for White. It would be similar to John Cena toppling The Nexus. Wade Barrett never got back to the top of the mountain. Okada is already there and can’t be pushed off. However, I want Bullet Club to meddle in this match as much as possible. Give Jay even more heat and Okada a reason to lose. As much as I love Chris Jericho, he should have never won the IC Title. It’s the second biggest prize in the company and has been nonexistent on NJPW programming. Naito will do much more with it. This was another last-second flip-flop on my part. Omega was booked as my winner for awhile until I sat down in front of the card. The main focus of this match is supposed to be the clash of ideologies. Tanahashi is the tried and true hero of New Japan whose style has provided him repeated and sustained success. Kenny Omega is a gaijin who is 7 months into his first reign as heavyweight champion. Omega made comments in the past about the Japanese roster being complacent and not working as hard as the outsiders. Tanahashi took exception to this, of course. After a grueling G1 Climax, Tanahashi emerged as the winner after defeating Kenny’s golden lover. January 4th is where Tanahashi takes back his kingdom. Kenny Omega’s ultimate downfall in the match will be his reckless style and cockiness. Although the two have been wrestling for an equal amount of time, Tanahashi is still seven years Omega’s elder. Omega will dictate the pace of the match and hold the upper hand for most of it. The problem is that Tanahashi will continue to reverse and kick out of everything Omega throws at him. That will eventually lead to Kenny attempting more and more dangerous moves (Phoenix Splash, dives to the outside, missed V-Triggers onto a hard surface, etc.). Omega’s moves will eventually miss multiple times in a row which will lead to injuries, and then defeat. Wrestle Kingdom is traditionally followed by New Year’s Dash the following night. That is where the seeds for the next feuds are planted. Now that Tanahashi is champion, there will be an unbearable nuisance named Jay White as confident as ever. New Year’s Dash will close with The Bullet Club attacking Tanahashi and Jay White declaring himself as the next challenger for the heavyweight belt. Remember that Jay White returned to NJPW last year specifically to challenge Tanahashi. Now he has a year of growth behind him. After the Bullet Club attack, the Golden Lovers will come in to make the save. This sets up a Tanahashi/Golden Lovers vs. Bullet Club feud. Omega wants to do the right thing but wants to preserve Tanahashi for their rematch at the same time. Omega also hasn’t forgotten that Jay White took his US Title at the start of 2018. That leaves Okada and CHAOS in a bit of a funk. In the middle of New Year’s Dash, the entirety of CHAOS will meet with Okada in the ring and have a discussion. They’ll talk about his decline in performance after he lost his championship. He started playing with balloons then continued to lose to Jay White and co. That’s when they decide to undergo trials for a new leader of the Chaos Faction. The trials will allow each member of Chaos to have a singles match with Okada in order to determine the new leader of the stable. Chuckie T, Beretta, Yano, Ospreay, Ishii, then Goto. It will be a story that lasts for several months but will result in Okada toppling each member. By the end, Chaos will be more unified with the new Rainmaker ready to challenge for the IWGP Heavyweight Championship once again. Next time on Writing the Book: I attempt to book both Royal Rumble matches!